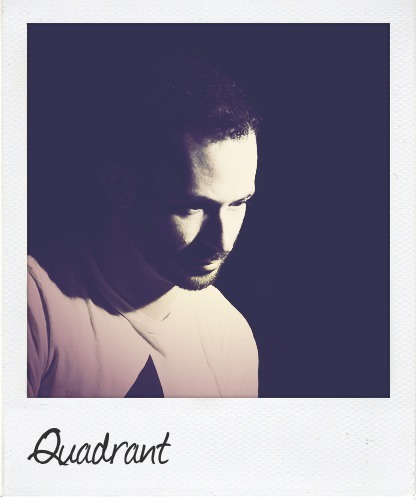 Originally a four-person collective gathered in a Philadelphia basement, Quadrant gained modest notoriety for their bootleg of Faithless’s “Crazy English Summer”, and 2005 saw their debut release, “Arachnid”, on the legendary UK label Renegade Hardware. During the next year, they released three more tunes on Hardware, most notably “Manipulated Living” on the Carpe Diem LP, a track that hasn’t left many DJs’ crates since. Following these initial successes was a highly respected slew of appearances on Triple Vision labels Citrus and Fokuz, showcasing equal proclivities for dancefloor impact and melodic beauty– a rare combination in a genre that so often seems to favor one at the expense of the other.